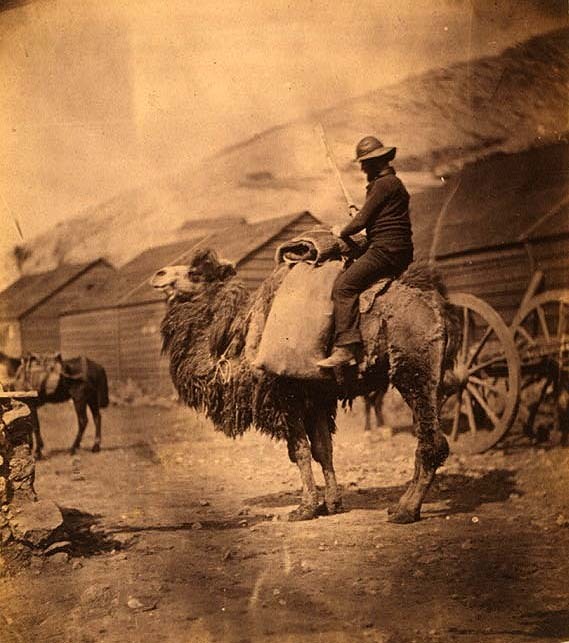 Dromedaries were used for military and other purposes in the Crimean War. I have studied Roger Fenton in Photography classes and have always heard of the Crimean War in history classes, but I have never really figured where the Crimean Penninsula was before seeing this photo. The Camel prompted me to look it up.